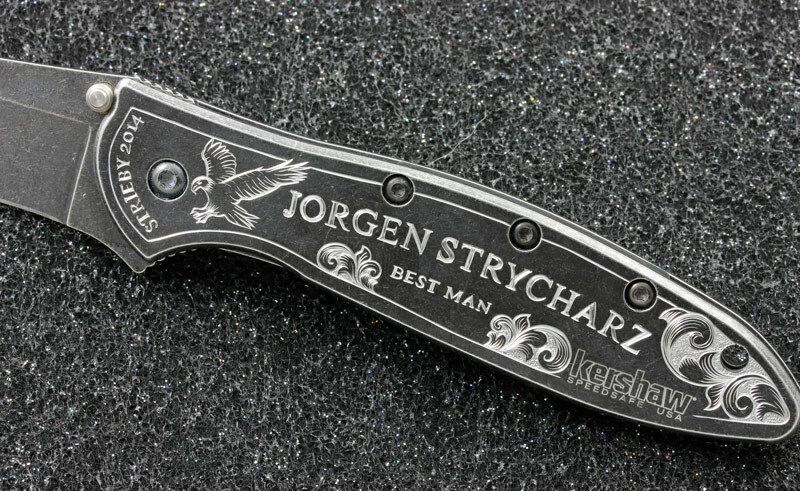 This Stainless Steel Kershaw knife with a blackwash finish was hand engraved as a gift from the groom to his best man. 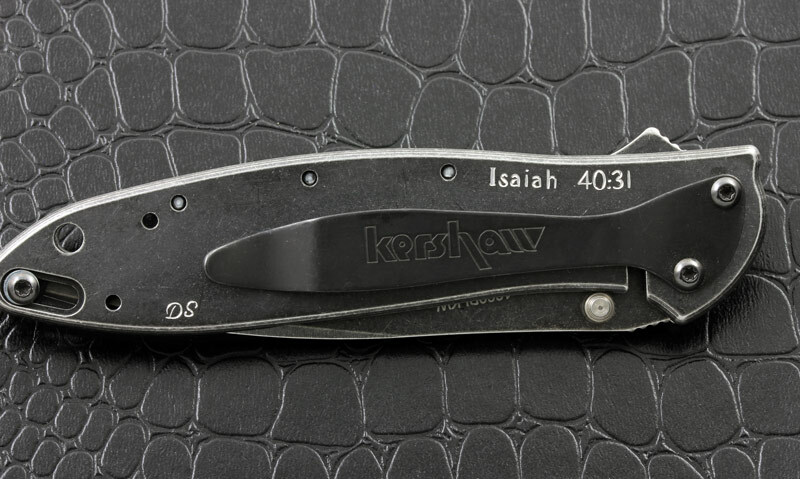 The engraving was carefully laid out to flow with the design of this quality knife and preserve the Kershaw Logo. The groom asked for an eagle to be incorporated into the design. The scrollwork features deep relief engraving into a very tough and durable stainless steel handle. No blackening of the engraving was required because a highly polished carbide graver was used which resulted in a bright sparkle jumping out of the blackwash finish. Truly a unique and thoughtful gift that will be cherished forever by this lucky best man.